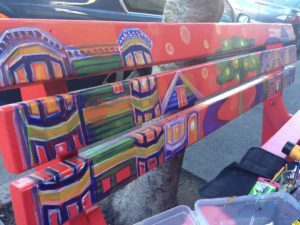 The Artspan Open Studios is in full swing, and I helped enliven the second weekend by live painting a street bench at the SFWA gallery in the inner sunset! You can see the video below to see my finished work. 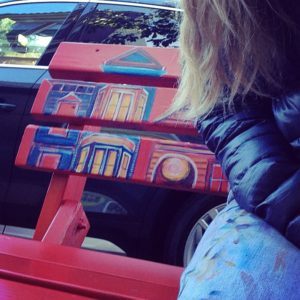 The bottom part of the bench will be done by a fellow SFWA gallery member.